I can’t eat oatmeal on it’s own: in a bowl, topped with milk, at the table. I just can’t. But I promise that I will eat it in cookies, scones, and muffins. I will eat these guys standing in the kitchen, over my computer, with a fork (when they’re too hot), and in my backyard with the pup. Breakfast is my favorite. I wake up hungry. 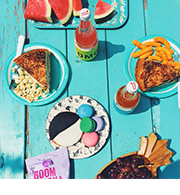 And so, on the weekend, I daydream about warm biscuits, waffles, and fruity muffins. Feel free to follow my lead and eat four of these in a row with no regard. Just eat them wherevs. Live your life. High-five the first meal of the day. Preheat your oven to 400°F and line 12-16 regular-sized muffin cups with paper liners. Mix the oats and yogurt together in a large bowl. Set aside. Toss the strawberries with sugar and balsamic vinegar. Set aside. Whisk together the flour, baking powder, baking soda, salt and cinnamon. Add the eggs, melted butter, brown sugar, and vanilla into the oatmeal mixture. Stir until just incorporated. Using a wooden spoon stir the flour mixture into the oatmeal mixture. until the flour is just moistened. Gently fold in the strawberries with all of the sugary liquid. Divide batter between muffin cups. Sprinkle with granola and bake until a skewer inserted in the center comes out clean, about 15-20 minutes. 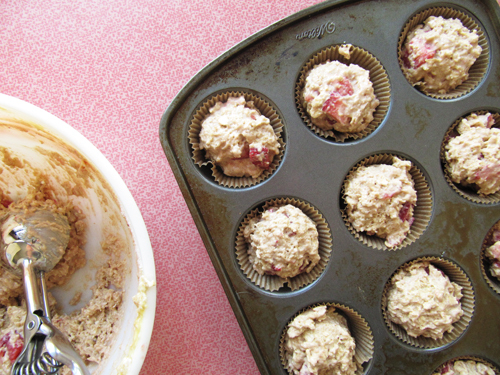 Allow to cool for a bit in the muffin tin before removing and cooling completely on a wire rack. Strawberry O’clock is my favorite time. 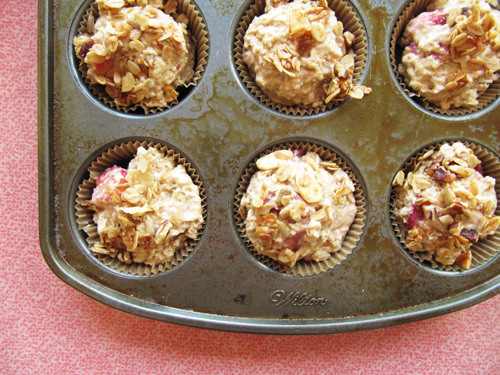 I’m with you on the whole oatmeal sitch, put it in a baked good, bowls are for cereal! 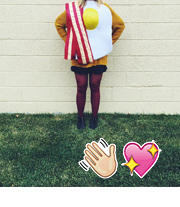 High-fiving breakfast is just the way to live the weekend. Yeah girl. I’m trying to like it. Maybe someday I’ll bake it with fruit or stir in chocolate. But then I’m just disguising it still, right? I bet you’d like these muffins. They are healthy and lovely! 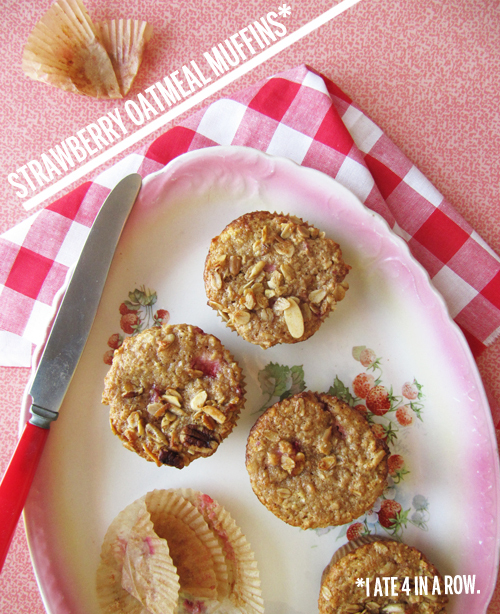 oh em gee…it’s like your strawberry jam oatmeal bars in muffin formation!!! i’m all over this! mmmmm…gotta make me some muffins. This recipe looks mauvelous. Think I could do it in jumbo muffin cups? Yes! Jumbo it up! Just bake them for 5-10 minutes longer – until a skewer comes out clean. <3 They'd be awesome bigger. Hello, do you actually use white or dark balsamic vinegar for those lovely yummy muffins? I used the dark balsamic. <3! I just made these and – OMG! – they are sooo good! I don’t know how to keep myself from eating the entire batch. The only thing I changed was sprinkle with hubby’s secret stash of Frosted Flakes instead of granola, since I didn’t have any granola onhand. Thanks for the FANTASTIC recipe, I’ve been looking for something healthy yet yummy to use up my near-death strawberries. I was just thinking about making muffins and whoop here they are. Looking yummy AND healthy. Perfect combination. Yeah girl! I hope you made and loved them! Megan, I’ve recently found your blog and immediately fell in serious like of it and you! 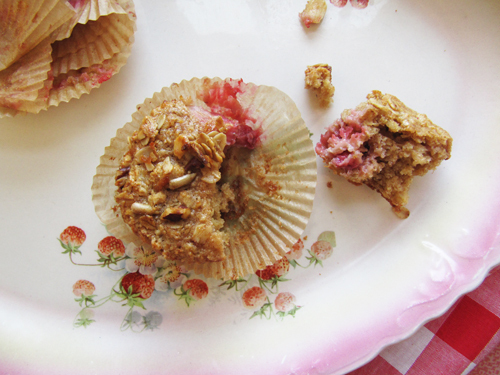 I made these muffins yesterday for brunch and we LOVED them. Seriously. LOVED. 🙂 That touch of balsamic brought such flavor to the strawberries. Yay! I’m so glad you found me! And totally! Balsamic is the key.